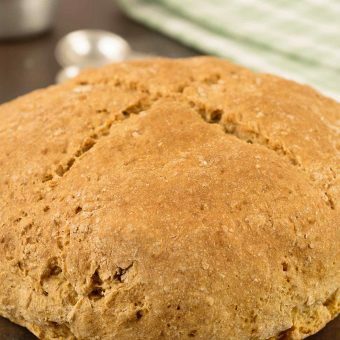 Nothing makes a house smell better than the aroma of freshly baked bread. 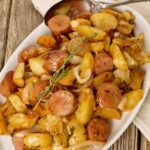 Browse our bread recipes for quick breads, yeast breads, rolls and breadsticks. 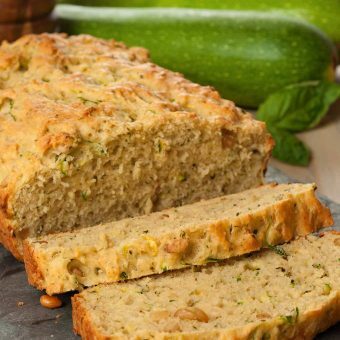 A flavorful change from sweet quick breads, this savory zucchini bread is flavored with basil pesto and Parmesan cheese. 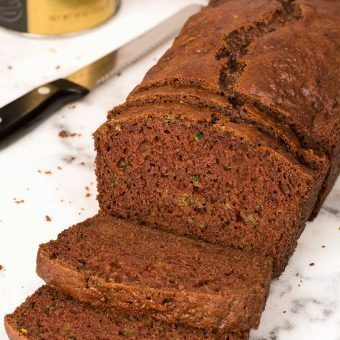 Our chocolate zucchini bread recipe combines shredded zucchini and buttermilk to create a satisfying, chocolaty treat without the fat and calories of chocolate cake. 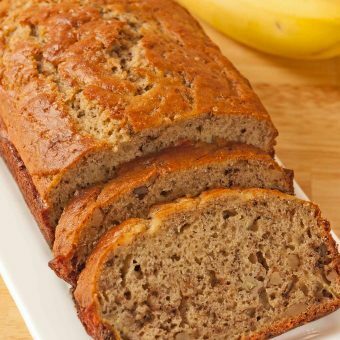 Our best banana bread recipe is a bit lower in fat and sugar and includes some whole wheat flour, yet it’s still as moist and flavorful any traditional version. 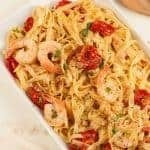 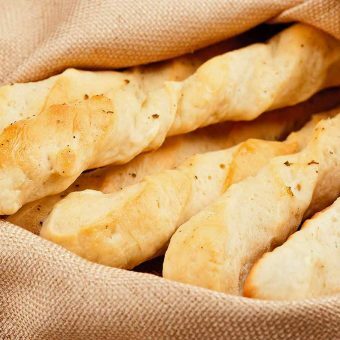 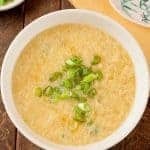 These soft, flavorful, homemade garlic breadsticks are quick to mix, have short rise time and are a perfect choice to serve alongside soups, stews and chili. 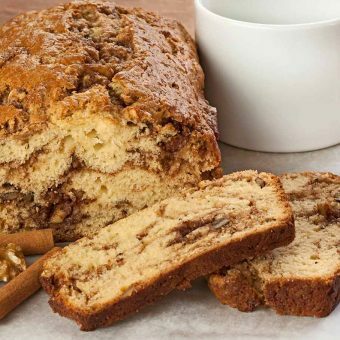 A flavorful combination of cinnamon, chopped walnuts and butter is swirled through the batter of this moist, delicious quick bread. 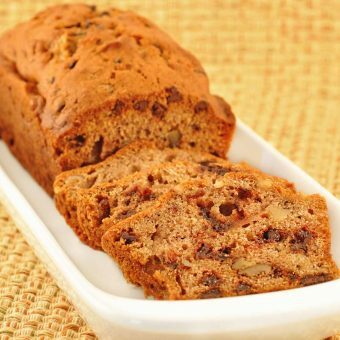 Fragrant spices, ripe pear and walnuts combine with chocolate chips to flavor this easy dessert quick bread. 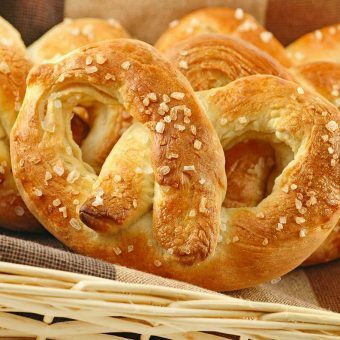 This easy to make fresh-baked soft pretzel recipe from Chicago’s Berghoff Cafe yields perfect, chewy and delicious pretzels.